Every visitor that joins one of the Moken programs of Andaman Discoveries automatically contributes to the preservation of their culture. A part of the tour fee is put directly into the Moken fund of the NAN foundation. This fund is used by the Moken for various things like community improvements, health emergencies and elderly care. Last season, which lasted from the 15th of October through the 15th of May, 85 visitors came to Koh Surin to participate in one of the Moken programs. All the visitors together brought 8,200 baht (nearly 220 euro’s) into the fund. Where this fund is used for depends on what is needed the most at that time. Below some examples can be found of what the Moken Fund is used for. Part of the money this year will be used to repair the Kabang. The Kabang is a houseboat traditionally used by the Moken. 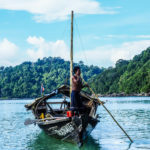 The boat is used by the Moken tourism Team to share with guests their traditional way of life and to experience a brief moment of life at sea. 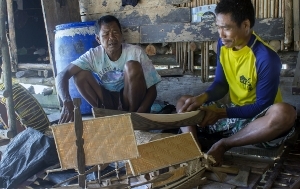 It is also a way for the younger Moken generations to learn the craftsmanship that goes into creating the boat and about their ancestral way of life. The Kabang will be repaired during the low season. In that way the boat can be used for the visitors that will come next season which will start in October. The salaries of the guides from the village are paid from the fund. The Moken started a Community Based Tourism (CBT) group after the tsunami. This group offers tours to responsible tourists. Andaman Discoveries has a partnership with this group. 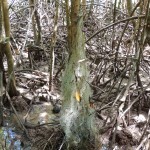 When someone books a tour through Andaman Discoveries, the guides are paid through the Moken fund. 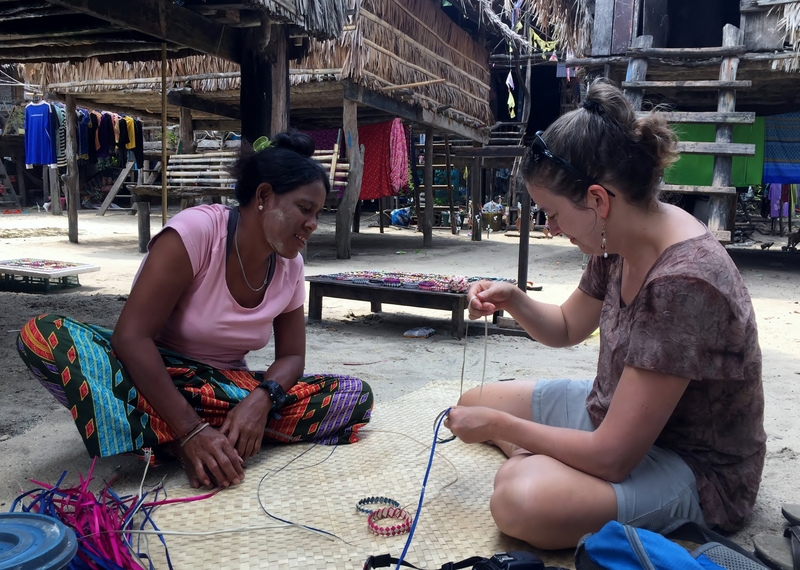 During these tours, guides tell the story of the Moken and lead the different activities that are included in the programs such as participating in a nature walk to learn about traditional uses of plants and weaving bracelets out of Pandanus leaves. Many Moken, especially the older generation, do not have access to proper healthcare. 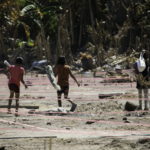 The Moken fund is used to give them the healthcare they require. This can be in the form of vitamins that can be purchased with money from the fund or medical treatment at a hospital/ doctors clinic on the mainland. Would you like to learn more about the Moken or find out how you can help them? Visit our website!